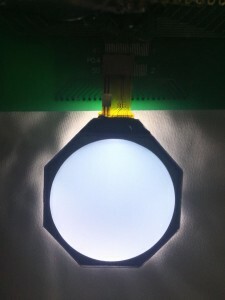 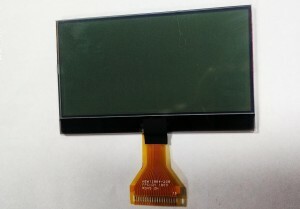 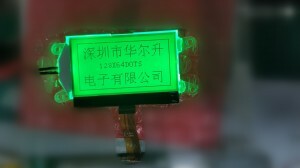 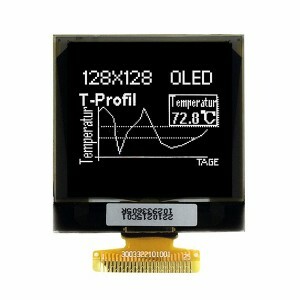 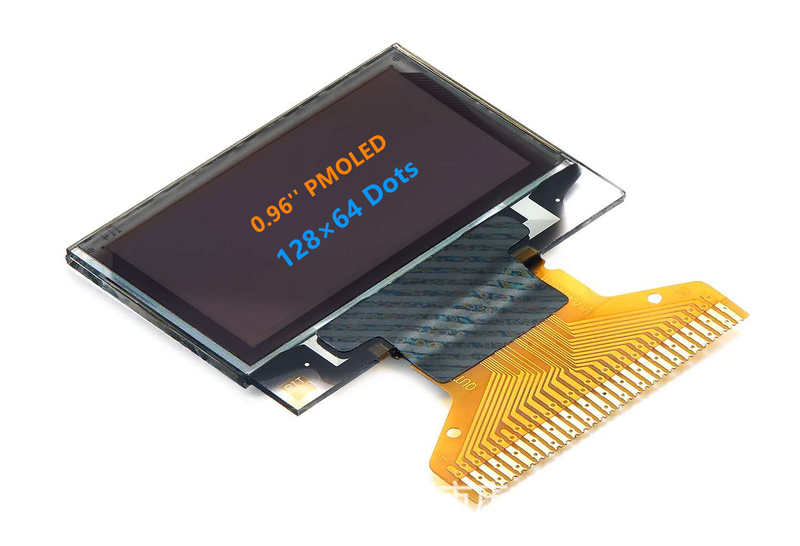 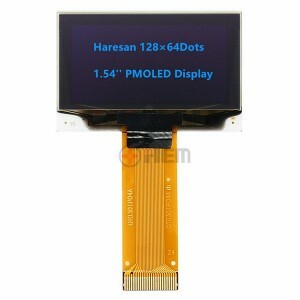 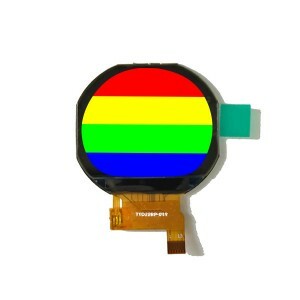 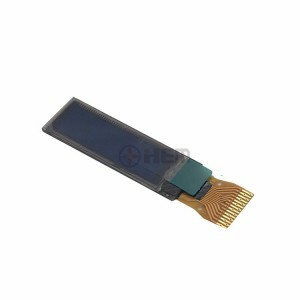 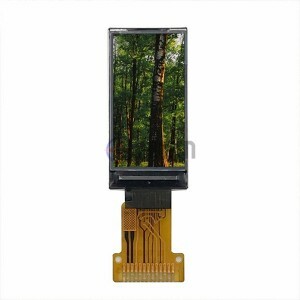 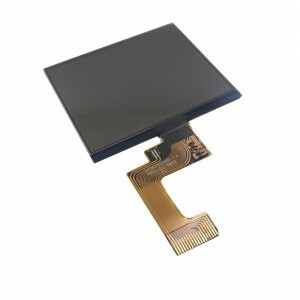 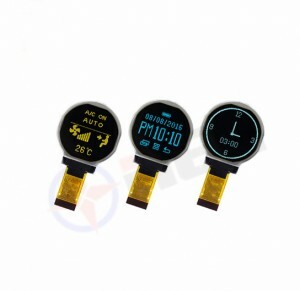 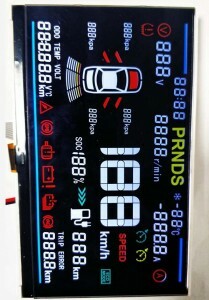 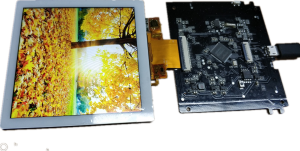 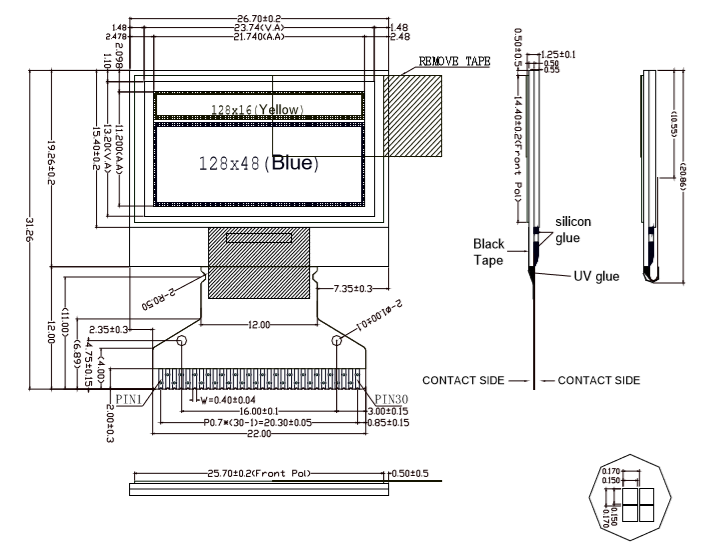 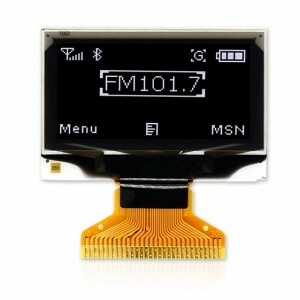 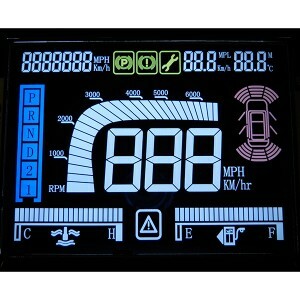 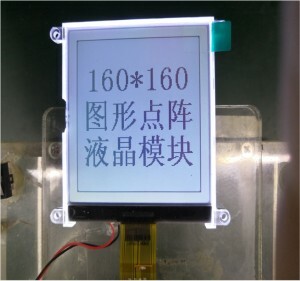 ﻿ 0.96″ OLED Bicolor Display (SPI/I2C) 128X64 (Blue&Yellow) - Jiangxi Huaersheng Technology Co.Ltd. 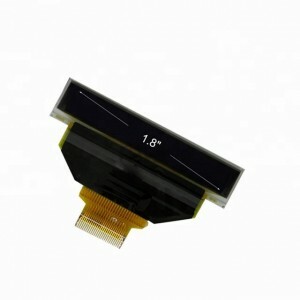 Item No: P12864-006A Panel matrix: 128*64 Driver IC: SSD1306BZ Excellent quick response time: 10μS Wide range operating temperature: -40 to 70°C Panel size: 26.7*19.26*1.4mm Active area: 21.744*10.864 (0.96”) Colors: Blue & Yellow Driver IC: SSD1306BZ Interface: Parallel/Serial/IIC Welcome to contact us Skype:ledyolanda know more. 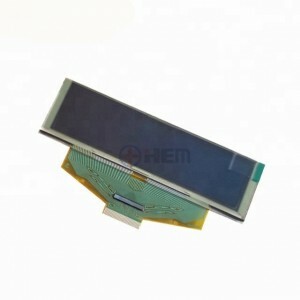 Welcome to contact us Skype:ledyolanda know more.